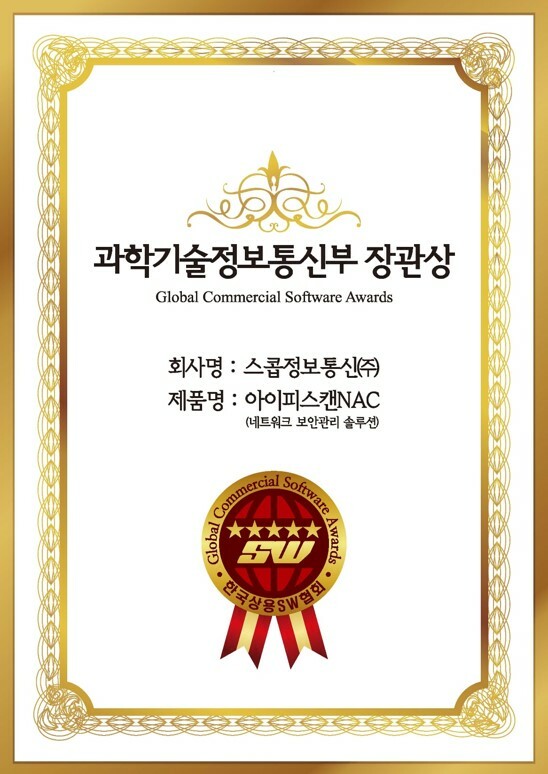 IPScan NAC received ‘Global Commercial SW Awards’ > Leader in Network Access Control ViaScope! 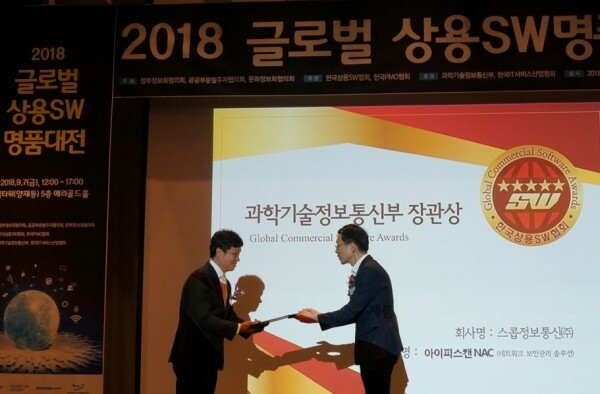 The ’Global Commercial SW Awards’ is an event sponsored by the Science and ICT Department in order to encourage and contribute to the work that has contributed greatly to the development of the Korean SW industry. President Kim Chan-woo said, " ViaScope Inc. will further strengthen its R&D and domestic and overseas business capabilities and grow into a leading network security software company in Korea."